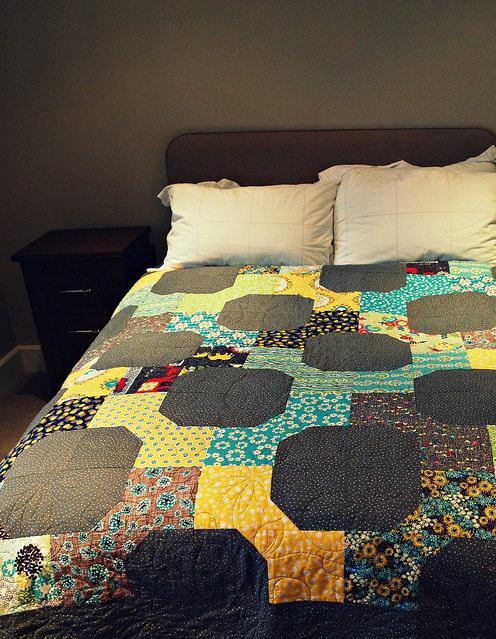 Just looking at this quilt gives us a feeling of comfort and warmth--we can't wait to dive into this project! The Tie Me Up quilt pattern comes to us from Katy Jones of the UK and her site I'm a Ginger Monkey. Please check her site out for numerous interesting tutorials and if you happen to live nearby, be sure to also check out her list of excellent classes.